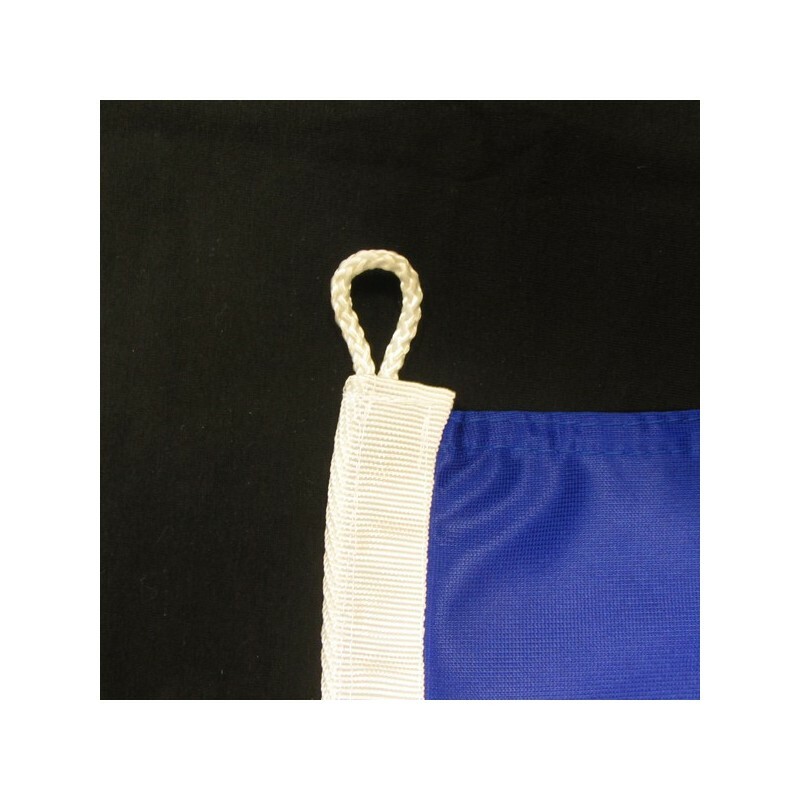 Bosnia's flag of nautical woven. 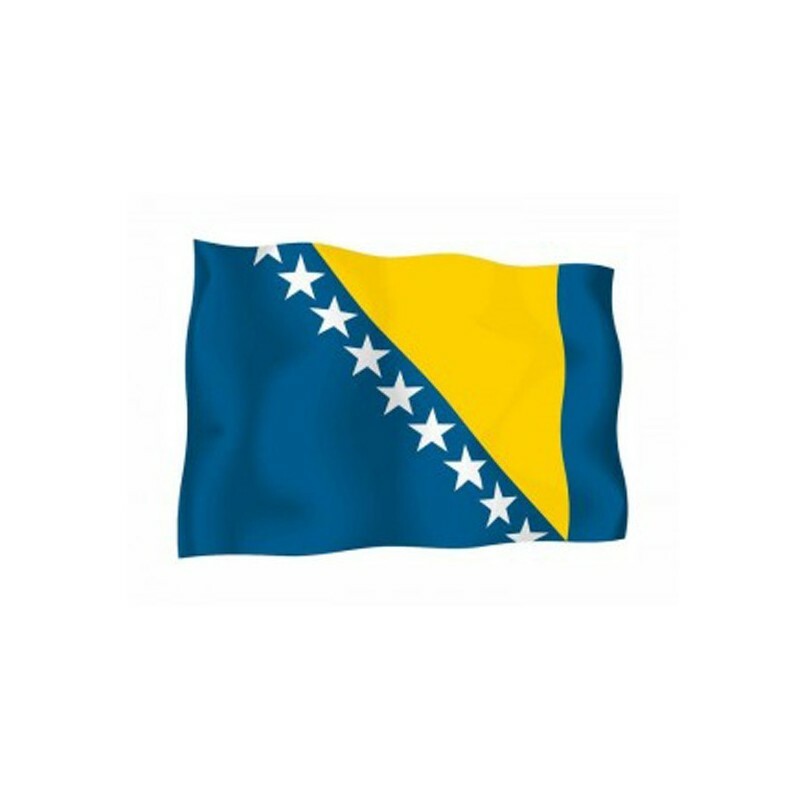 Flag of Bosnia of nautical polyester, for external use only, with digital print. In 1992, after the detachment of Bosnia Herzegovina, the parliament adopted a neutral entirely white flag. The independence provoked a civil war among the three ethnic groups: muslims, crusaders and serb. 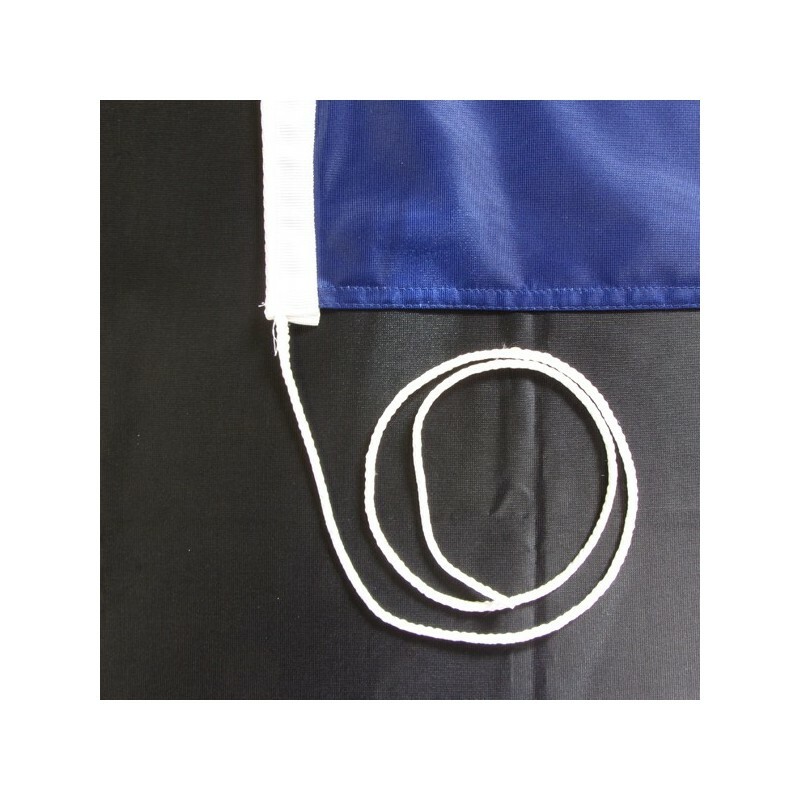 In 1995, after the treaty of peace in Daytona, the neutral white flag was considered unacceptable. On the 4th of February 1998, the International diplomacy which defends the peace in Bosnia Herzegovina, imposed a new flag, drawn by a representative committee of the three ethnic groups. 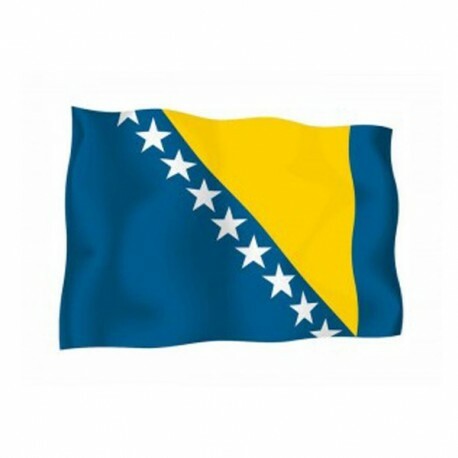 Now a days the National and civil flag has got a blue background with a triangle which recalls the geographic appearance of Bosnia Herzegovina. It is yellow with some white stars with five tips on the hypotenuse. The three vertexes of the triangle refer to the three ethnic groups. The yellow colour and the stars refer to the European flag.